Founded in 1929, Central Roofing Company™ is a certified Woman-Owned corporation operated in two locations: Minneapolis, St. Paul and Rochester, Minnesota. We are approved in a WBE, MBE, DBE, TGT/ED mentor-protégé agreement with Emerge Construction & Building Supply. Central Roofing Company™ is a GSA Contract Holder for GSA Schedule 56 Building and Building Materials & Supplies. Our SAM Registration (formerly CCR & OCRA) is complete and current. Our Minnesota License number is CR639253. We are also licensed in Arkansas, Florida, Illinois, and North Dakota with other state licensures pending. Our facilities include an in-house Sheet Metal Department with custom metal shop, Waterproofing Department, 24/7 Service Department, and Commercial Production Department. To donate to our team, click the image. We have a long history of quality planning and execution of even the most challenging or delicate roofing situations. Our team will take your roofing problems and create solutions. Our roofing contractors offer service response 24 hours a day, 7 days a week. 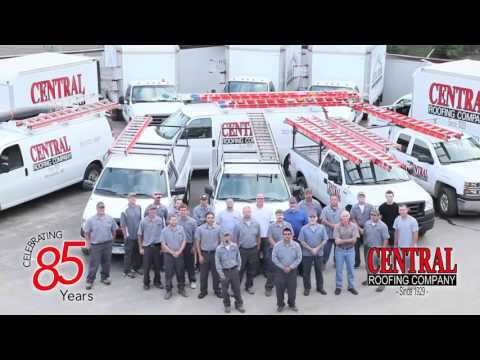 Central Roofing Company® can restore your building despite flooding, wind damage or storms. Sheet metal work is done quickly and to our precise standards in Central Roofing Company's® in-house metal shop. This type of roofing system is durable, long-lasting and quick to install! Since 1929, we are Always on Top®! We are also affiliated with these trusted organizations!